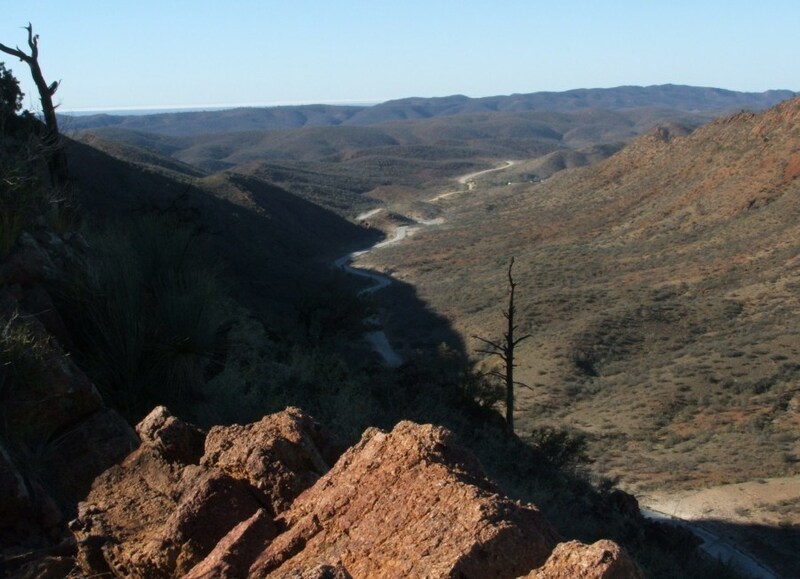 The club had a very successful camp based at the Arkaroola Village in the far Northern Flinders Ranges during May 2010. There were 5 walking days with walks in all four grades planned each day. 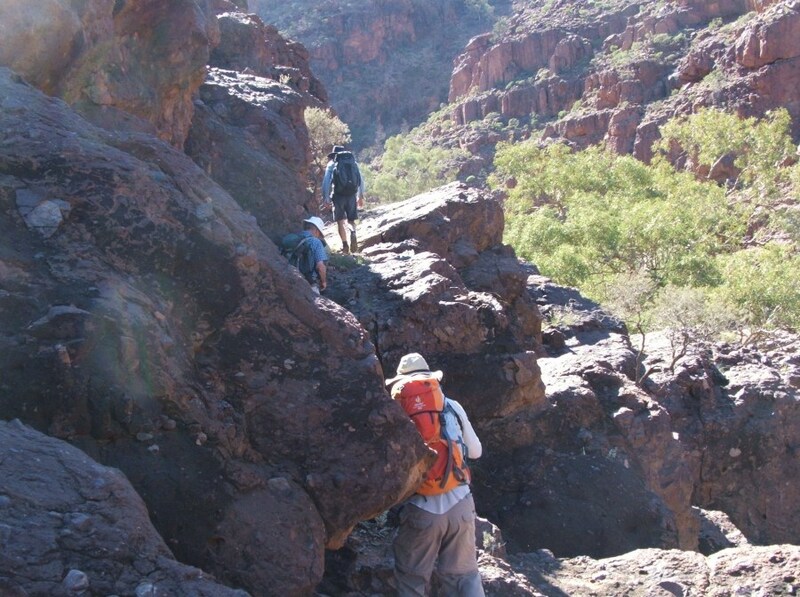 Walks varied from scrambling over boulders in creek beds to scaling Mt Warren Hastings for the panoramic views from the top. An added bonus was that recent heavy rains meant water holes in many of the creeks still had water in them, something that doesn’t happen every year. 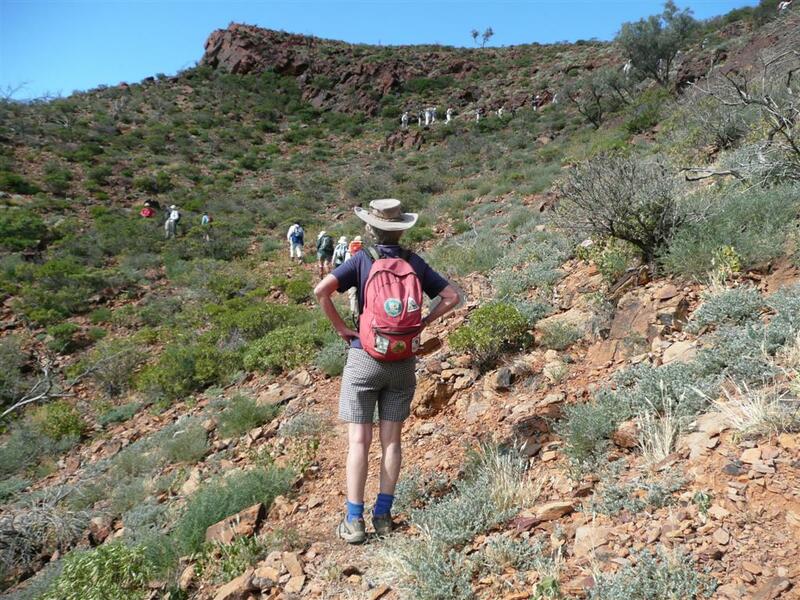 Sixty members attended the camp, staying in caravans, tents and onsite accommodation. Happy hour was held each evening when reports of the day’s walks were made and details of the next day’s walks given. A camp dinner was held on the last night in the restaurant. 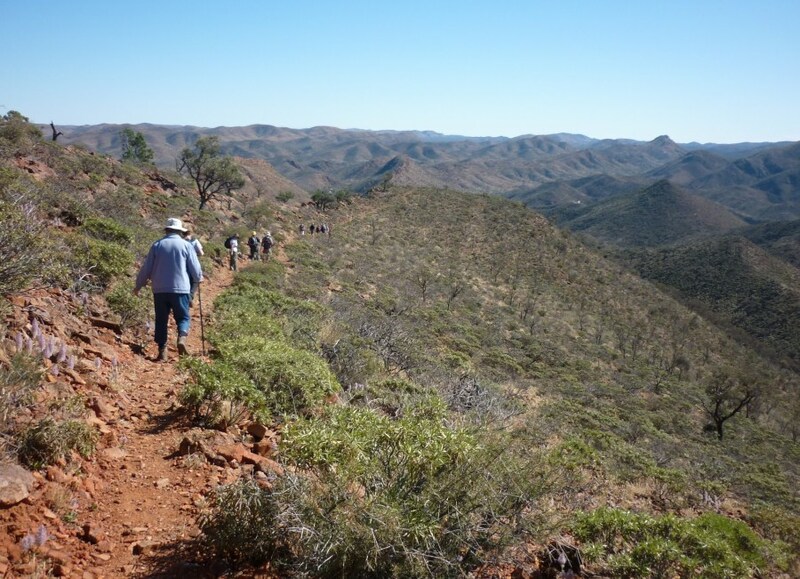 Some members went on the famous Ridge Top tour on the rest day, while others toured the universe from the observatory – one of Australia’s largest privately owned. B group ascending Mt Warren-Hastings. 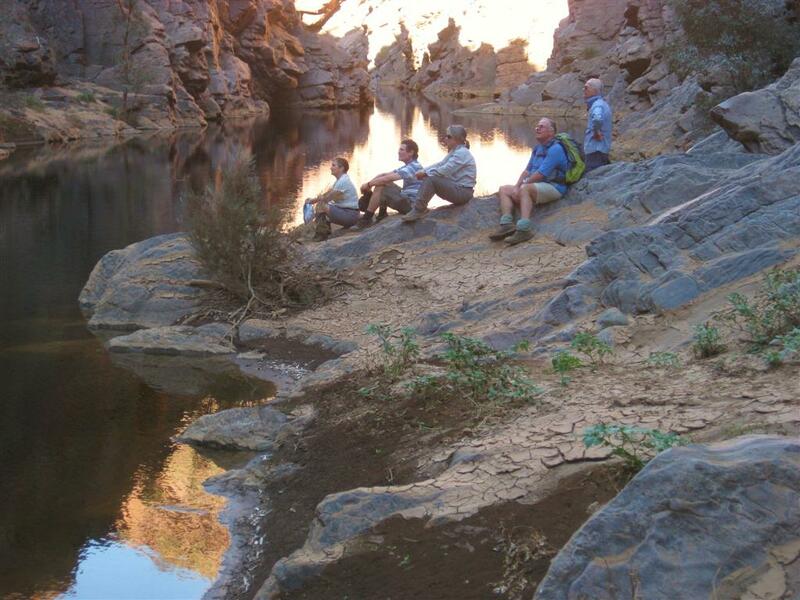 One of the many waterholes of Arkaroola Ck. 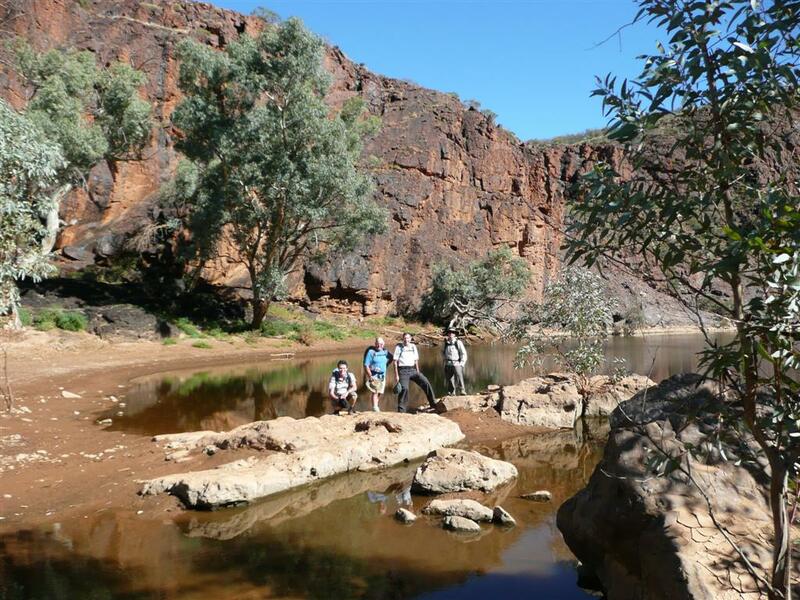 Bararranna Gorge, rest and contemplate!